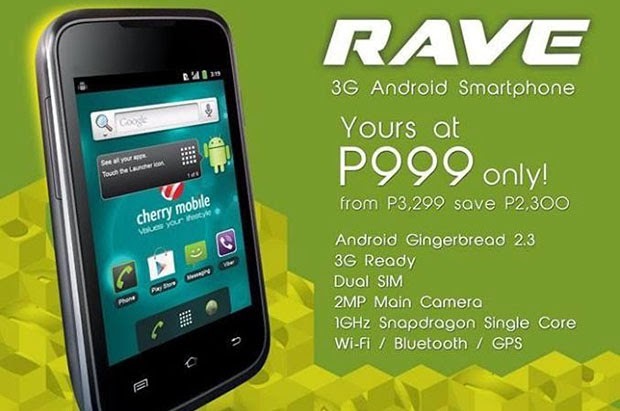 Cherry Mobile recently announced that they giving a 3G Snapdragon smartphone for only P999! 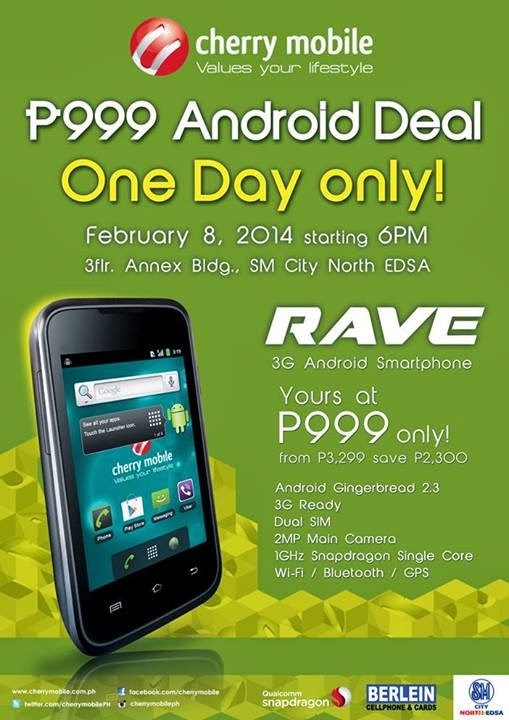 On Saturday (February 8, 2014) starting at 6pm the Cherry Mobile Rave will sale for only P999 on SM North Edsa. It's a massive discount from its original Php3,299 price tag. Cherry Mobile Rave is a 3.5 inch HVGA screen, powered by a 1GHz single core CPU, 256MB RAM, 512MB storage and Android 2.3 Gingerbread.